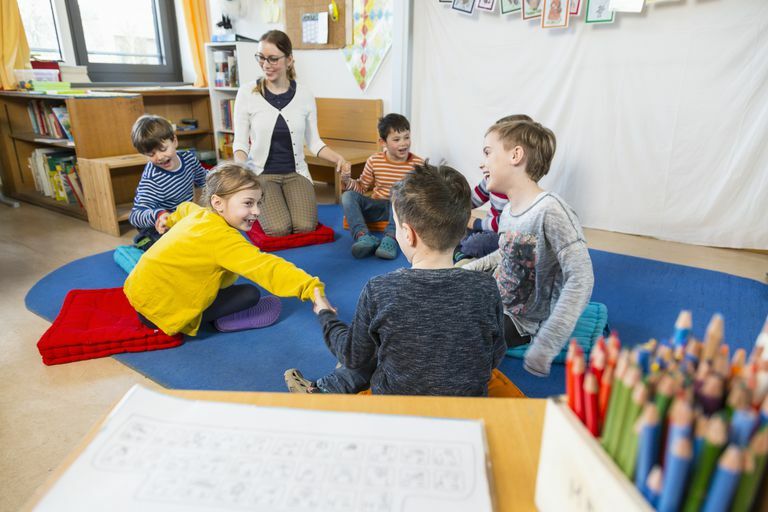 Whether you're working on your teaching credential or being reviewed by an administrator, you will often need to write out a lesson plan during your teaching career. Many teachers find lesson plans to be useful tools for organizing the classroom experience, from beginning teachers (who are often required to have detailed lesson plans approved by supervisors) all the way to the most advanced veterans who use them as a way to stay on track and ensure that the learning environment for each lesson is effective and thorough. No matter what your experience level or reason for needing a lesson plan, when the time comes for you to create one, make sure it includes the eight essential components and you'll be on your way to achieving every teacher's goal: measurable student learning. Writing a strong lesson plan will also allow you to easily update lessons for future classes, ensuring that your material remains relevant from year to year without having to completely reinvent the wheel each time. The lesson's objectives must be clearly defined and in line with district and/or state educational standards. The reason for setting objectives and goals is to make sure you know what you're trying to accomplish within the lesson. This helps you determine what the students should take away from the lesson and how you will go about ensuring that they are successful in mastering the material at hand. For example, the goal of a lesson about digestion might be for students to be able to identify the body parts related to the digestion process as well as understand how the food that they eat is turned into energy. Before you dig into the meat of your lesson's instruction, it's important to set the stage for your students by tapping into their prior knowledge and giving the objectives a context. In the anticipatory set section, you outline what you will say and/or present to your students before the direct instruction portion of the lesson begins. This is a great way for you to make sure you're prepared to introduce the material and can do so in a way that your students will relate to easily. For example, in a lesson about the rainforest, you could ask the students to raise their hands and name plants and animals that inhabit the rainforest and then write them on the board. When writing your lesson plan, this is the section where you explicitly delineate how you will present the lesson's concepts to your students. Your methods of direct instruction could include reading a book, displaying diagrams, showing real-life examples of the subject matter, or using props. It's important to consider the various learning styles within your class to determine what methods of teaching will best resonate. Sometimes creativity can work well in engaging students and helping them understand the material. Quite literally, this is the time where you oversee and guide students in practicing what they have learned so far. Under your supervision, the students are given a chance to practice and apply the skills you taught them through direct instruction. For example, students might work together in small groups to solve word problems similar to a word problem you explained during the direct instruction portion of the lesson. Guided practice activities can be defined as either individual or cooperative learning. In the closure section, outline how you will wrap up the lesson by giving the lesson concepts further meaning for your students. Closure is the time when you finalize the lesson and help students organize the information into meaningful context in their minds. The closure process could include engaging the students in a group conversation about the lesson's key topics or asking individual students to summarize what they have learned. Through homework assignments or other independent assignments, your students will demonstrate whether they absorbed the lesson's learning goals. Common independent practice tasks include take-home worksheets or at-home group projects. Through independent practice, students have a chance to reinforce skills and synthesize their new knowledge by completing a task on their own and away from the teacher's guidance. Here, you determine what supplies are required to help your students achieve the stated lesson plan objectives. The required materials section is not presented to students directly, but rather is written for the teacher's own reference and as a checklist before starting the lesson. This is part of your own personal preparation. The lesson doesn't end after your students complete a worksheet. The assessment section is one of the most important parts of any lesson plan. This is where you assess the final outcome of the lesson and to what extent the learning objectives were achieved. In most cases, the assessment will come in the form of a test or quiz, but assessments can also include in-depth class discussions or presentations.